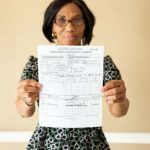 AN IMO STATE born woman, ANTHONIA NWAORIE, naturalized American has prodded her lawyers to continue with the case she filed in court against America’s Custom and Border Control (CBP) even after the latter mailed back a cheque in the sum of $41,000 been the fund seized from her at Houston Airport on her way to Nigeria to build a modern clinic to help Nigerian mothers and children in the rural areas. To this 59 year old woman, her life may have been ruined by the action of CBP that scared her profoundly. The Texas nurse who had $41,000 seized by US customs last autumn as she tried to travel to Nigeria to start a medical clinic has the money back but plans to continue her lawsuit against the government. After her case attracted widespread media attention, US Customs and Border Protection (CBP) mailed Anthonia Nwaorie a cheque that she received recently. On how law enforcement agencies conduct asset forfeiture, Nwaorie was boarding a plane in Houston last October when she was stopped by officials. 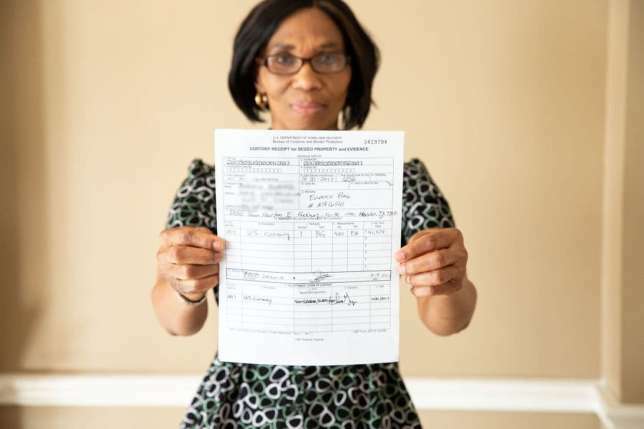 CBP confiscated the $41,377 she was carrying, the bulk of which she had saved up in order to open a clinic for women and children in Imo state, where she grew up before moving to the US in 1982. The 59-year-old said she was unaware of the requirement to declare currency over $10,000 when leaving the US as well as upon arrival. Though Nwaorie was not charged with a crime, CBP sent her a letter in April saying that it would return the money on the condition that she sign a “hold harmless” agreement promising that she would never take legal action against the government over the episode. Nwaorie refused to sign and instead launched a federal class-action lawsuit earlier this month, which seeks to end the practice of requiring people to waive legal rights to get their money back. Anya Bidwell, an attorney with the Institute for Justice, a not-for-profit legal group representing Nwaorie, told the Guardian: “She’s still pursuing this lawsuit because she doesn’t want the same thing that happened to her to happen to hundreds or even thousands of others in her situation who are legally entitled to the return of their property but are being forced to sign a hold harmless agreement waiving their constitutional rights.” It would be recalled that Anthonia, a registered nurse who became a U.S. citizen in 1994, said she was boarding a flight to Nigeria from Houston with medical supplies and money intended to open a medical clinic in her home nation when she was stopped by CBP officials. CBP agents seized all $41,377 dollars because Nwaorie failed to declare that she was leaving the country with more than $10,000 — a requirement of which she said she wasn’t aware. Nwaorie was not charged with a crime. “This is just about as unconstitutional as it gets,” Nwaorie’s attorney, Dan Alban of the Institute for Justice, told the Post. “They’re requiring her to trade her right to the property in exchange for giving up these other rights: Does she want her right to the property? Or does she want to give up her right to the First Amendment? They’re sending these agreements out to not just to Anthonia but, we think, hundreds or thousands of people every year.” Alban wants the CBP to release an accounting of that type of data as part of the case. disrupted her life.” Nwaorie said her plans to open the clinic have been suspended pending the conclusion of her legal battle. “This was my dream, that people cannot be sent away from a clinic or a hospital because they do not have money,” she said. “This is something that I want to do for humanity, myself and my God, so there is nothing I would want to do to go against the law of this land to get it done. If I had known I had to declare the money before traveling, I would have done that.” CBP did not comment on the story to the Post, citing pending litigation.